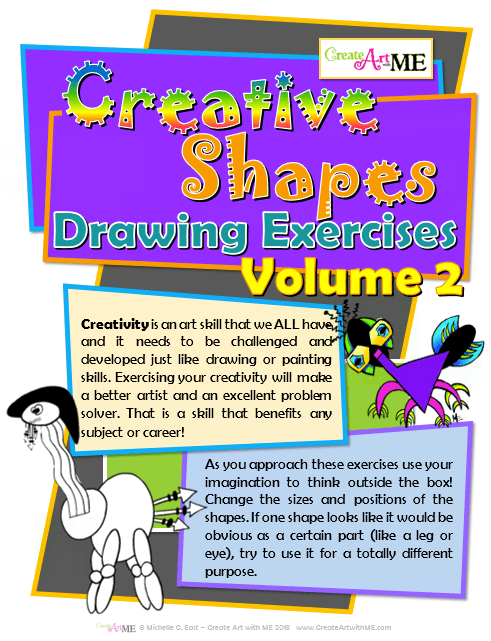 Volume 2 comes with 5 worksheets with 5 separate sets of ALL NEW shapes to create from! • Kick it Up! Add an environment using only these 5 shapes.